Irene Loves Elephants: September 16th Slightly Ironic? We were driving today, and it was a very grey and bleak day (what's new Pussycat?). 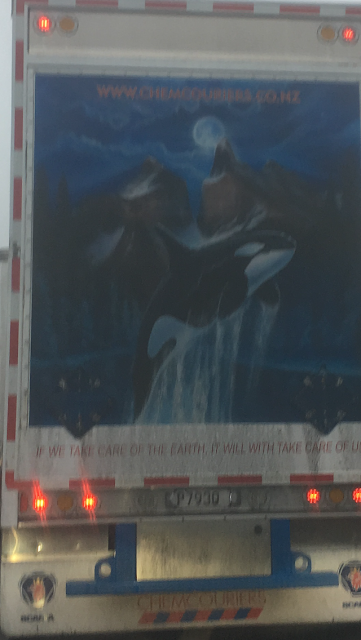 The irony of the message on this truck in front of us, was I thought fairly obvious. 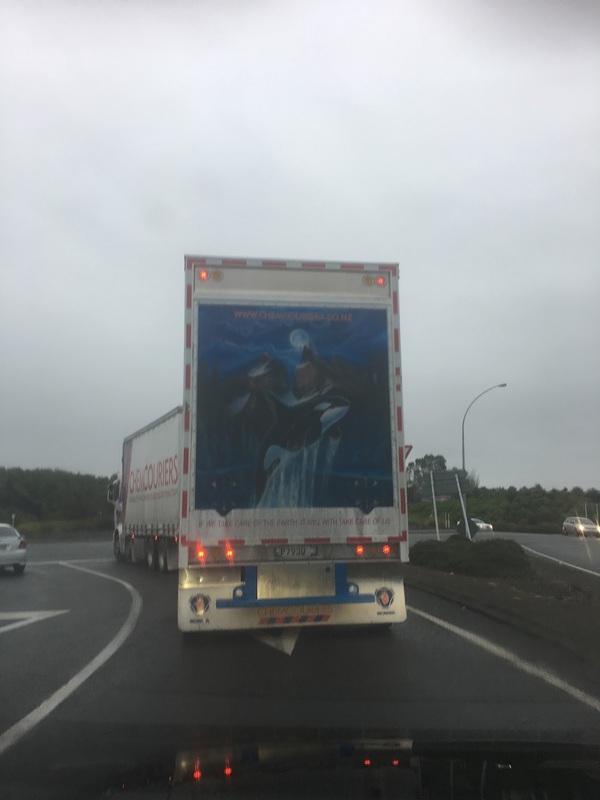 I don't know if my brain works in weird ways as to how I see things, but don't you think that is a strange message to carry on a dangerous goods truck?